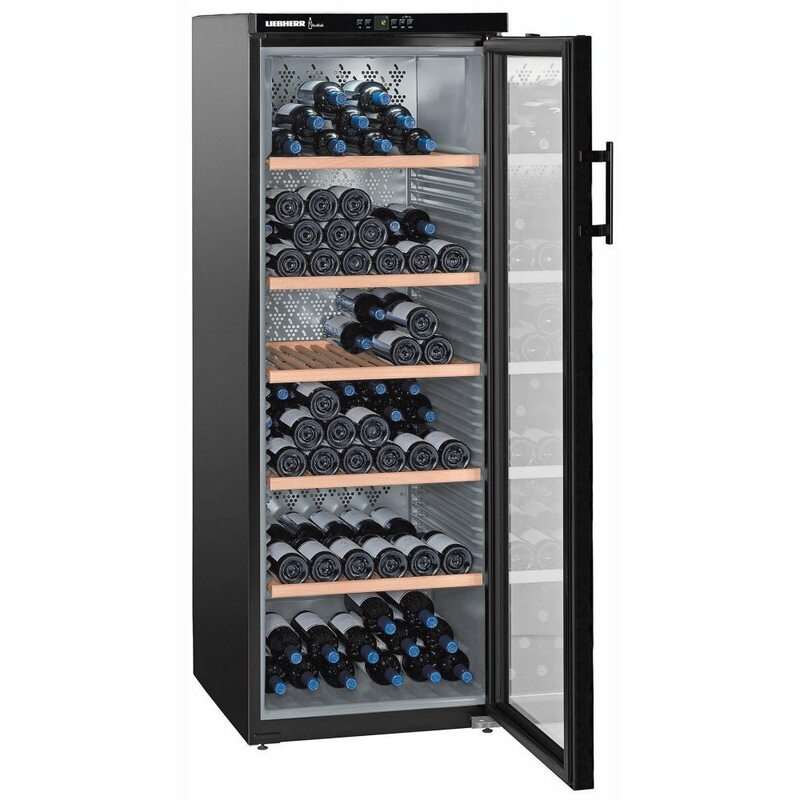 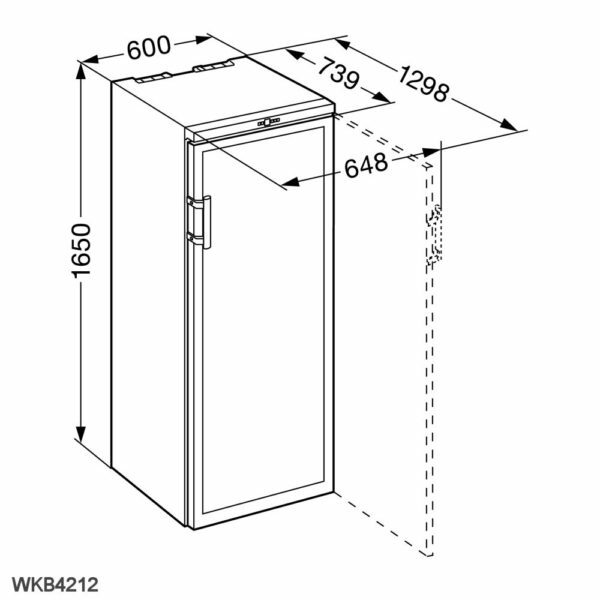 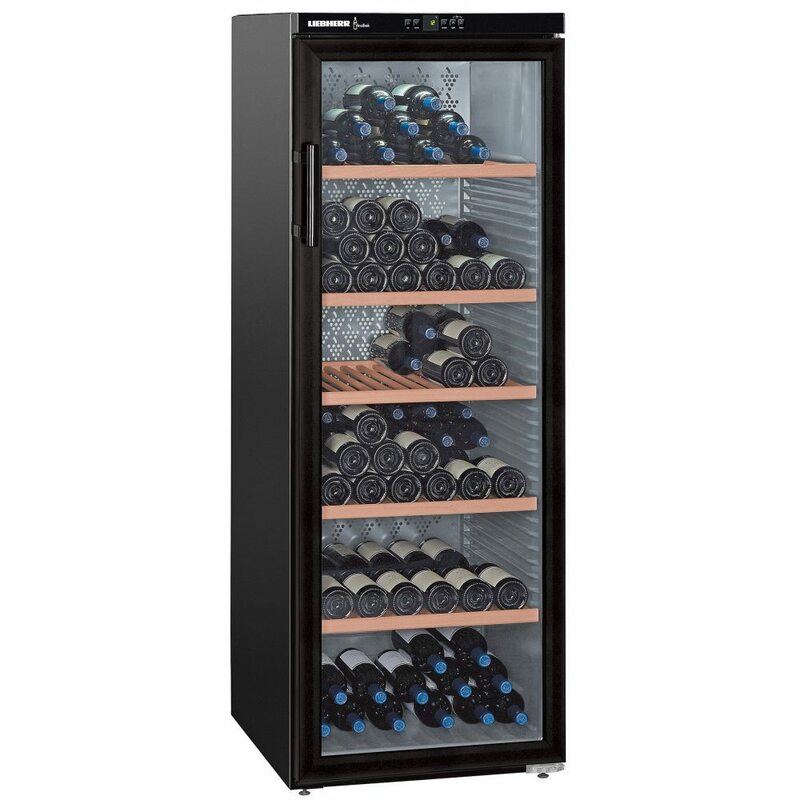 Introducing the superb Liebherr WKB4212 Vinothek wine storage cabinet with a capacity of 401 litres – enough for 200 bottles of wine. 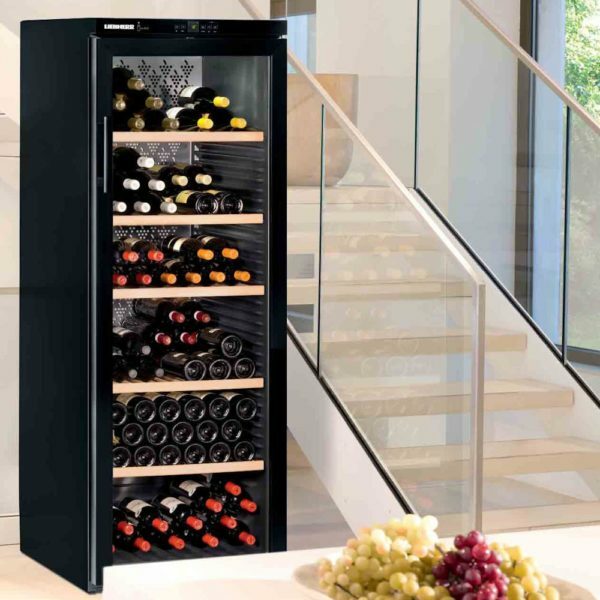 This unit is finished in gloss black with a tinted safety glass door and stands at 165cm tall. 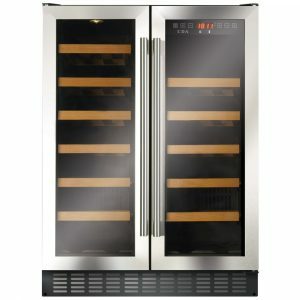 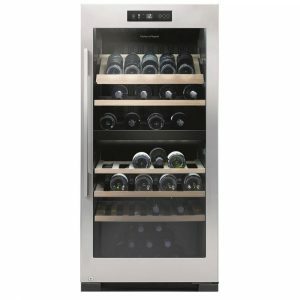 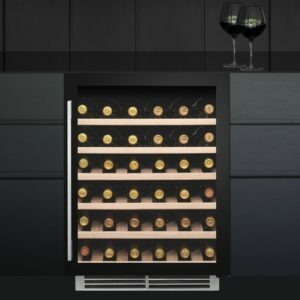 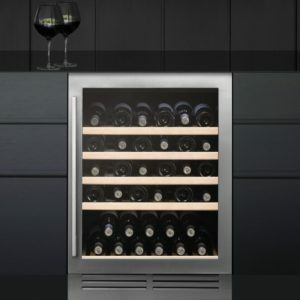 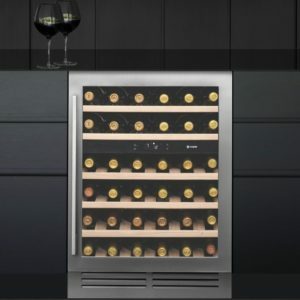 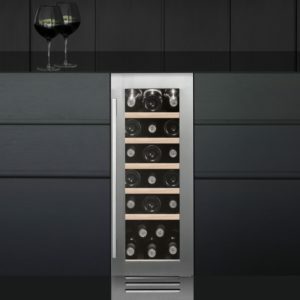 The temperature is controlled by a digital display on the top panel and is adjustable between 5°C and 20°C – perfect for either red or white wine.